These were the products that I was absolutely looking forward on receiving in my recent haul and they didn't disappoint. I have a lack of cream blushes in my collection and I was so glad that I decided to pick these shades up from NYX. I have two shades, Boho Chic, a cool tone pink and Tickled, a peachy pink blusher with gold shimmers. In the swatch below, Tickled may look too bright and orange but it definitely gives you a subtle dewy and warm glow once blended into the cheeks. Boho Chic also looks bright and really opaque but these blushes blend extremely well into the skin and gives you a nice finish. I've used this a couple of times when I was going out and each time I received compliments. 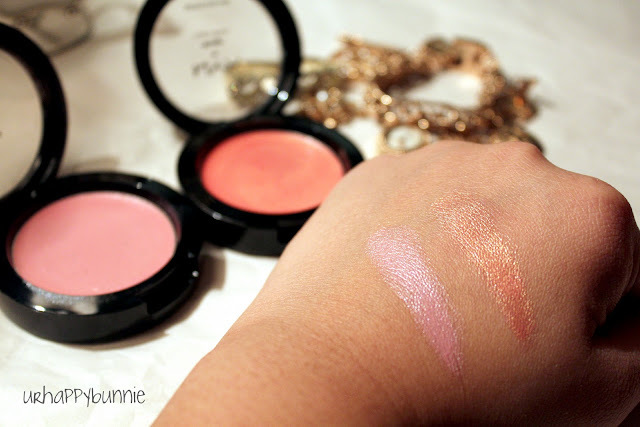 Because it's winter time, it is better to wear cream blushes rather than powder blushes. Dry skin is a no no during the cold season so a dewy finish on the cheeks looks really nice and natural. Cream blushes are also very easy to apply since you only need clean fingers especially when you're out and about and you want a quick touch up. Mind you, they do last long on your cheeks so don't worry about touching up often. Though if you really don't want to touch up your cheeks throughout the day, you may want to use this as a base and layer powder blush on top. I have to be honest though, I use my Sigma F82, the Synthetic Round Kabuki in applying this on my cheeks. As much as I like using my fingers when I'm on the go, my hand automatically reaches for the F82 whenever I'm doing my makeup on my vanity. With me absolutely loving these two shades and the lovely effect they have on my skin, I'm looking forward to collecting all the shades NYX has to offer. The Rouge Cream Blush retails for $6.50 on the NYX website. I'm also looking forward to purchasing the Tango with Bronzing Stix, NYX cream bronzers in stick form. those colors are adorable! :) love them. These blushes look great. I love NYX cosmetics! cream blush is something i need to explore. That's nice to hear. :) I've tried a few cream blushes before but NYX cream blushes are my favorite. I've never used cream blush! but that it seems beautiful! you're welcome cuz. Speaking of agnes, i dreamt about her last night. lol. Boho chic is a great color pink but not too pink. I haven't tried MAC's cream blushes but I think, for the price, NYX is better. NYX is cheaper but works absolutely great. 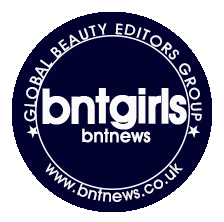 It is pigmented and long lasting and blends easily. MAC is a high end product so its twice the price of NYX. I only have one cream blush! NYX products are usually pretty good so I need to try these!